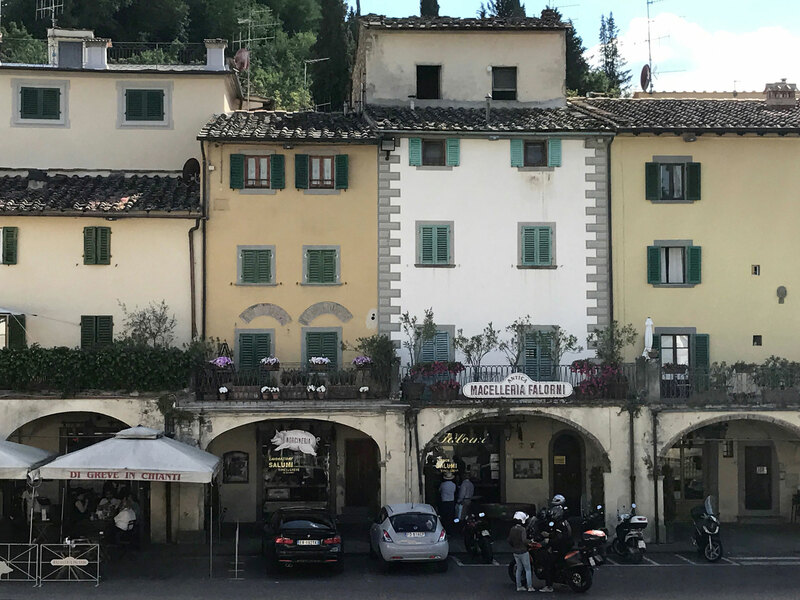 The osteria La Terrazza is located in the main square of Greve in Chianti, in the province of Florence, a meeting point for the social life of the town and a stop for all tourists who cross the Chianti region. Located right in the center of Tuscany, Greve in Chianti is virtually halfway between Florence (31 km) and Siena (42 km). It is therefore a strategic place for those who decide to spend a holiday in the countryside, without sacrificing the proximity to two great art heritage cities. For guests staying in Country House Terre di Baccio, just outside the village, the osteria is only a 10-minute walk away.